Asthma affects millions of people worldwide and it is probably going to be an even more widespread condition in the years to come, because of the pollution. Some people that were born with this disease have severe problems trying to breathe this polluted air. Asthma is a chronic inflammatory condition of the airways. An asthma attack is usually presented as wheezing, chest tightening and shortness of breath. Patients suffering from asthma can also cough severely. When some substance or incident cause an asthma attack, a person may experience shortness of breath and other symptoms for a short period of time or even for a very long time, depending on an asthmatic trigger and the medical condition. When you experience any of asthma symptoms it is very important to consult your doctor. There are various treatment options, which usually include beta 2 agonist inhalers, leukotriene antagonists and corticosteroid medications for the long term therapy. The doctor might also prescribe some other medications, to suppress and stop your asthma attacks. Whatever provokes your asthma attacks, keep away from those substances. If you don’t know what are the exact causes of your asthmatic attack, visit the doctor and determine them. Sometimes, and allergy shot may be helpful in two different ways – preventing allergy and allergic asthma as well. Once you know the precise reason and thing that triggers your asthma attack, do everything you can to avoid that. 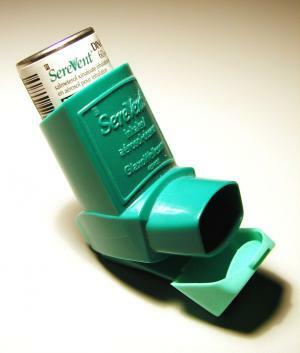 Certain things are already known to trigger asthma attacks, even if you are not allergic to them. Remove all potential asthma triggers from your home and working place. Certain scents and irritants may provoke asthma attack, so be careful not to use those. Dust is frequently an asthmatic trigger, so keep your home dust free, by cleaning every surface carefully. Fabrics with lint and scented candles are not advisable for people suffering from asthma. Physical and emotional stress may sometimes be enough to provoke asthma attack. Avoid situations that cause anxiety and do everything you can to reduce the stress level in your life. Talking to your family about the topic may also be helpful, for they will be aware of potential dangers. Plants in your home will be great for you, because they will produce even more oxygen and ease your breathing. Certain exercises have been known to buildup the resistance in people suffering from asthma. Engage in walking, jogging or cycling to prevent asthma attacks, because all these activities are beneficial for your lungs and airways. More fruits, vegetables and food rich in fibers and proteins are recommended for asthma patients. Drink sufficient amounts of water and use multivitamins if your doctor recommends so. Restrict or avoid smoked meat and dairy products, for they can negatively affect your asthma.